What is Legal Deposit and how can self-publishing authors comply? Legal deposit is a legal obligation that all South African publishers (or producers) of all types of documents, including audio-visual publications, have to deposit a certain number of copies of each of their published documents to designated places of legal deposit. It is international practice for governments to require producers of all types of published documents to make these deposits. Currently countries worldwide are reviewing and amending their legal deposit laws in order to accommodate the growing importance of audio-visual and electronic media. The purpose of legal deposit is to collect, preserve and make available to present and future users the documents that contain the intellectual and cultural heritage of the country. The present Legal Deposit Act (Act No 54 of 1997) was promulgated on 1 July 1998. The Act provides for the deposit of books, magazines and other information bearing documents such as films, videos, music CD s and DVD s published or produced in South Africa, as well as those produced abroad specifically for distribution in South Africa. The Act provides a broad legislative framework for the number of copies to be deposited, their format and quality, information required from publishers and producers, when copies must be deposited and action to be taken against defaulting publishers and producers. A document is any object that is intended to store or convey information in textual, graphic, visual, auditory or other intelligible format through any medium. stores or conveys information in textual, visual, auditory, electronic or any other format. is a revised version or edition of a document that is significantly different from the previous version or edition in respect of its information content or physical presentation. is published in South Africa or adapted for the South African public. It ensures that a creator’s work is not lost for posterity and that it is available for future research. It has the potential to make all users of places of legal deposit aware of what has been published or produced. It forms the basis for the compilation of national bibliographies and other databases that alert potential users nationally and internationally to the existence of books and other documents and thereby promote their distribution and sales. It forms the basis for the collection of international book production statistics by UNESCO which is a valuable source of business information to the book trade. It can also develop into such for other media. An SANB information sheet must be completed and sent to the National Library of South Africa, Pretoria Campus, along with the required copies of your publication. 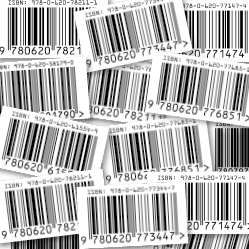 You will be provided with the relevant documentation by the NLSA when you apply for your ISBN. This documentation includes a list of the Places of Legal Deposit where your publication is to be sent, as well as the SANB information sheet that must be completed. Visit the NLSA website for more information.